Q. Is sod less work? A. Yes, because sod is healthy and mature when installed, it requires less maintenance than a newly seeded lawn. After installation, you just need to water, fertilize, and mow sod on a regular basis. Q. Where can I use sod? A. Sod can be installed just about anywhere—including places that might be difficult or impossible to seed. Sod is often used to stop erosion and water pollution where seed would just wash away with heavy rains. Q. Can sod withstand heavy use? A. Absolutely! 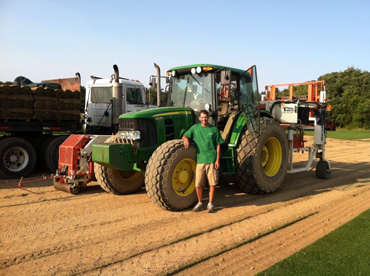 Sod establishes itself quickly; within weeks, it can withstand even heavy traffic. Q. When can I install sod? A. 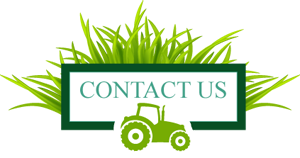 You can install sod any time during the year, even when the ground is frozen, as long as it can be harvested. We usually ship April 1 through December 31; however, cold weather can hold us up in the spring and shut us down early in the fall/winter. Q. Can I install sod myself? A. Yes. Get some friends together (because sod is heavy!) and follow the preparation and installation instructions. A. A big bag of seed costs less than a pallet of sod, but it's like comparing coffee beans to cappuccino. Sod is a finished product that provides instant use, beauty, and environmental benefits. Seed requires up to 2 years of time, attention, water, fertilizer, and pesticides to reach the level of maturity that sod has on the first day. Q. How can I tell whether sod is fresh and good quality? A. Sod is a living plant that should be installed within 12 to 72 hours, depending on season and temperature. Fresh sod has moist soil, dark green blades of grass, and is cool to the touch. A. Yes, sod cools and cleans the atmosphere by reflecting the sun's heat and absorbing pollutants. For example, a 50x50 foot lawn releases enough oxygen for a family of 4, while absorbing carbon dioxide, hydrogen fluoride, and perosyacetyle nitrate. Sod also entraps and holds water better than most surfaces, potentially replenishing the supply of ground water.